The report, compiled by a panel of experts tasked with examining the implementation of sanctions against South Sudan, is the final version of an interim report published in August. It concluded that both sides in the country’s civil war are managing to buy arms and other military equipment despite the sanctions. The interim report had said the South Sudanese army was using Israeli-made weapons, and even included pictures of soldiers armed with ACE assault rifles, an updated version of Israel’s Galil rifle. As Haaretz reported two weeks ago, when members of the panel of experts came to Israel to meet with senior officials from the foreign and defense ministries, they were told that the weapons in question had been sold before the outbreak of the civil war, and that Israel had decided to stop selling offensive weapons to South Sudan in early 2014, shortly after the war began. Israel also promised that this policy of not supplying lethal weapons would remain in force. The final report largely accepted this Israel contention, despite its finding that both ACE rifles and another Israeli rifle, the Micro Galil, are widespread in South Sudan’s main conflict zones. The report stated explicitly that the government forces’ ACE rifles were purchased before the civil war began. Government forces used these rifles in a December 2013 attack on members of the Nuer tribe that is considered the starting point of the civil war. As for the Micro Galil rifles, the report concluded that they were originally sold to Uganda in 2007. In 2014, after the civil war broke out, the Ugandan government transferred the weapons to South Sudan, without informing Israel or asking its consent. Yet even though Israel decided to stop selling offensive weapons to South Sudan, it continued to permit the sale of defensive equipment. The report said this included communications interception equipment. Israel apparently argued that such equipment isn’t weaponry, but a tool for maintaining domestic security. But the report found that the South Sudanese government was using this equipment to eavesdrop on and arrest its opponents. The government’s “ability to identify and illegally apprehend individuals has been significantly enhanced since the beginning of the conflict because it has acquired additional communications interception equipment from Israel,” it wrote. Eitay Mack, an attorney and activist who has been working to increase supervision over Israel’s arms exports, charged that Israel not only installed this listening equipment for the South Sudanese government, but also continues to operate it via Israeli technicians stationed in South Sudan. Mack also said the arrests cited in the report targeted not only opponents of the regime, but also journalists. MK Tamar Zandberg (Meretz) said that after Israel’s assurance to the UN panel was reported in the media, she asked the defense minister to review all the export licenses the ministry had granted to ensure they included no weapons. The report also traced various other sources of weapons in South Sudan. For instance, it found, Ukraine sold South Sudan 830 light machine guns and 62 heavy machine guns in 2014. 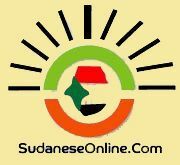 In addition, it said, the Chinese arms company Norinco sold 100 antitank missiles and about 10,000 automatic rifles to the Sudan People’s Liberation Army, which is the government’s army. Amnesty International in Israel slammed the government for selling intelligence technology to South. "In 2012 the [Israeli] government ordered the deportation of South Sudanese asylum seekers, saying that their lives were no longer in danger. Today Israel is providing the South Sudan government tools to persecute and harm the same asylum seekers it had deported."